Last year, the Neo4j Startup Program provided free access to Neo4j Enterprise clusters to over 650 startups with less than 20 employees. We’ve now significantly expanded the program to support much larger organizations, with up to 50 employees! 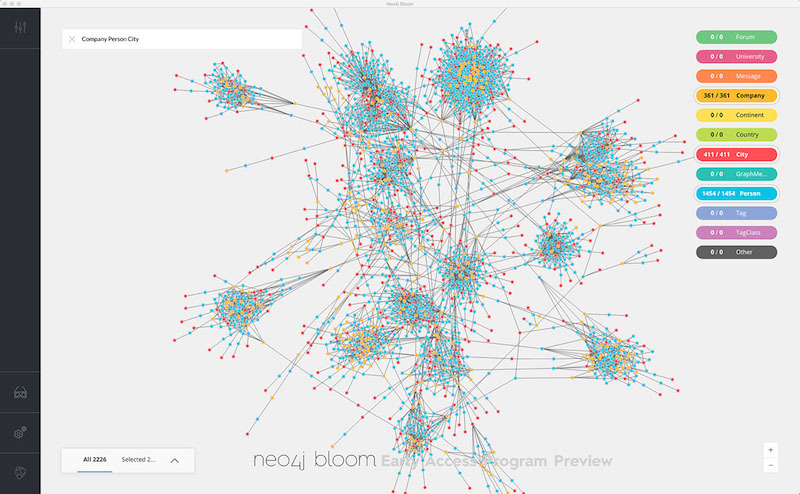 We’ve also made it easier to apply to the program and manage your membership – and we’re now providing licenses for Neo4j Bloom graph visualization. 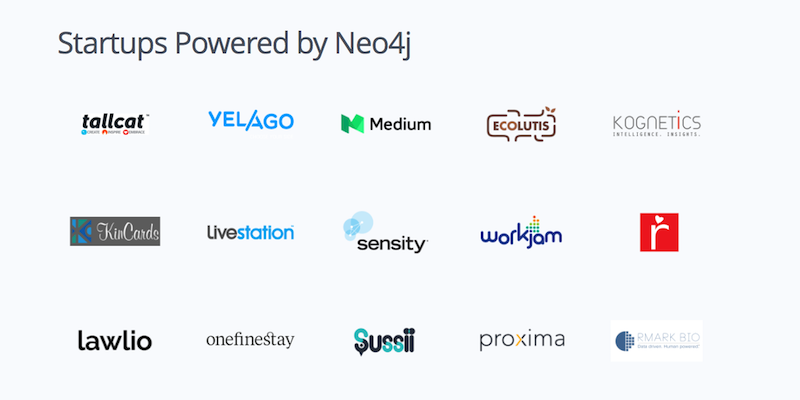 Neo4j Bloom is now included as part of the Neo4j Startup Program. Whether you’re building the latest biotechnology, innovating in marketing automation or building a knowledge graph of your manufacturing supply chain, the Neo4j Startup Program provides an ACID-compliant graph database to power your applications. If your JOINs are slowing to a crawl on your highly-connected dataset, Neo4j helps speed up your application and eliminate a lot of headaches. We have 300+ enterprise customers, and the Startup Program itself has notable alumni, including Medium, Shutl (acquired by eBay), SOUQ (acquired by Amazon), OneFineStay (acquired by Accor Hotels), Sensity Systems (acquired by Verizon) and LendingClub. Neo4j remains committed to providing the GPL’d open source Neo4j Community Edition to companies big and small for free. However, many use cases require the highly-scalable Causal Clustering architecture and online backup provided by Neo4j Enterprise, in addition to many other features for security, monitoring and operations. Learn more about Enterprise Edition today. What qualifies as a startup? The Startup Program exists to provide access to venture-backed, angel-backed or bootstrapped companies building products, SaaS applications and internal tools to directly support their own business. Applicants must have less than $3M in annual revenue and up to 50 employees. Startup Program licenses are not valid for consultancies doing work for clients or prospects (including prototypes or POCs). However, if you’re interested in being a Neo4j partner as a consultancy, check out our Partner Program. Does Neo4j provide enterprise-class support or professional services? The free licenses granted under the Startup Program do not provide access to Enterprise support. Members are encouraged to ask their questions and actively participate in the Neo4j Online Community and Forum. If you’d like to purchase a Neo4j Enterprise subscription, with included support and access to our Professional Services team, the Startup Program does provide highly-reduced pricing to early innovators. Contact our sales team to learn more. What will you do with Neo4j? Startups are hard work. Whether you’re bootstrapping the budget or answering to a board of picky investors, the last thing you need to worry about is trying to make a limited, open source tool do the work of real business software. That’s where the Neo4j Startup Program comes in. With access to an enterprise-class graph database, your startup is set up for success and on a level playing field with other users of Neo4j Enterprise Edition. There’s a lot you can accomplish when powered by the #1 platform for connected data. We’re looking forward to hearing stories about everything you’ve been able to achieve. What are you waiting for? It’s time to push the boundaries of what’s possible for your business. Join the Neo4j Startup Program today! 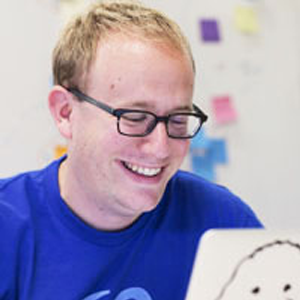 Hi Ryan, great to hear that Neo4j is supporting start-ups even more. “Neo4j Enterprise for 3 machines in production, 3 in test/staging and 6 in dev”? Our “old” contract (dated May 2017) is limited to “3 Instances”, without separately mentioned test-, staging and dev-instances, which is substantial when those 3 instances will be consumed by the productive HA cluster that we plan to set up in the next weeks. Thanks! The Startup Program issues 1 year licenses. So, every company needs to renew each year and assert that they meet the current criteria. If you have an old agreement, you’ll want to re-apply at https://neo4j.com/startup-program/. In the new system, we might be able to make renewals a little easier. But for now, you just have to fill out the application again.